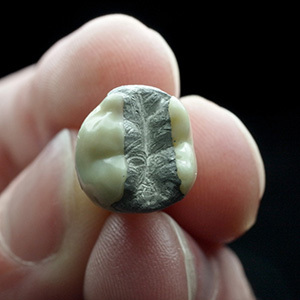 In response to those concerns, the U.S. Food and Drug Administration (FDA), Asociación Dental Americana (ADA) and other organizations have conducted numerous studies over several decades and have repeatedly found that the small amount of mercury released during placement and removal of amalgam fillings does not cause adverse health effects. Mercury is a naturally occurring metal and one that we are exposed to in small amounts through water, air and food throughout our lives. Excessive exposure to mercury can negatively affect the brain and kidneys – sin embargo, it is important to understand that amalgam fillings do not cause dangerous levels of mercury exposure. Numerous scientific studies and thoughtful research have led the FDA to stand behind its position: amalgam fillings are a safe and effective restoration method for patients over 6 years of age. Composite fillings are typically made of a resin and glass mixture, tinted to the color of your tooth, and commonly referred to as “white” or “tooth-colored” rellenos. They serve an important purpose for teeth that are visible when smiling, providing an aesthetic benefit not afforded by silver fillings. While resin composite fillings undoubtedly look better than amalgam ones, they are generally considered to be less durable, and therefore may not be ideal for teeth that are subject to extreme chewing and biting forces. It is worth noting, sin embargo, that composite materials continue to benefit from technological advancements, contributing to enhanced durability. The ADA supports composite materials in small or mid-size fillings on teeth that are exposed to moderate pressure from chewing, and acknowledges that they are a good choice for a more natural-looking filling. 5 fuera de 5 estrellas basado en 1 Amalgam Fillings reviews.